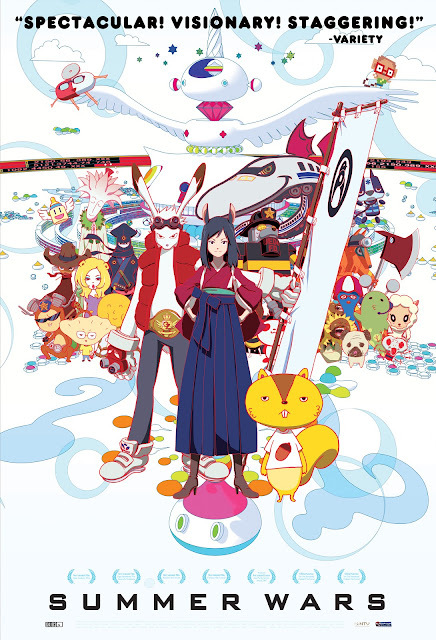 Summer Wars Is one of THE best animated movies I have seen in a lllooooooonnnggg time! So clean and smooth and just all around good. The story line takes from the Digimon Movie a bit but to me that's good lol I always wanted an extended more elaborate Digimon movie like the first one. And now with Summer Wars we have it. The thing about this movie that really separates this movie from the rest is the minuscule details, like for example the characters all have a Red outline instead of a black one. Ahhh anyway anyway sooooo good! Heres a clip! WATCH IT! is it dubbed in english yet?? this is fckn epic..this needs & should be in theaters! !